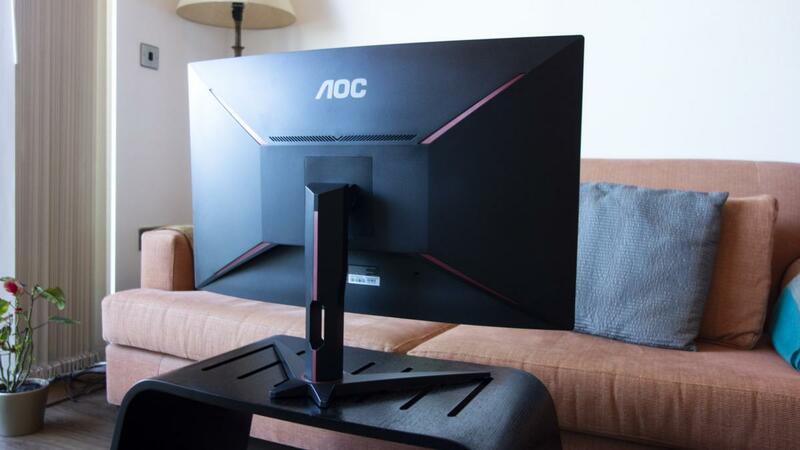 When it comes to gaming monitors, a 27in display tends to be the sweet spot – big enough to make you feel immersed, while remaining reasonably affordable. 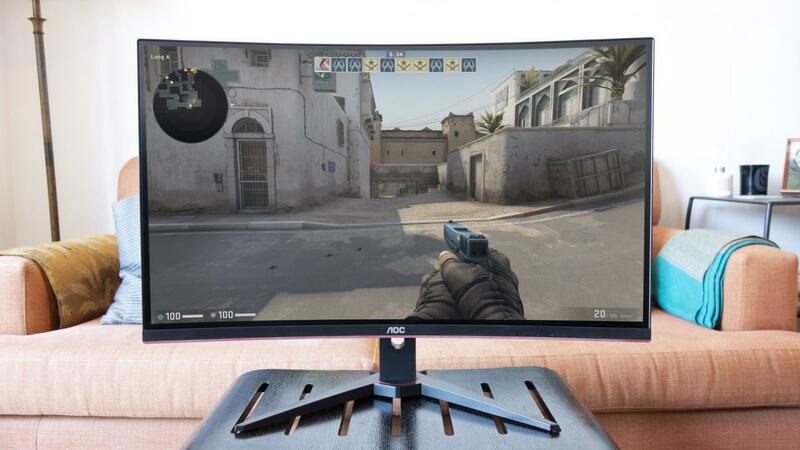 AOC’s new CQ32G1 gaming monitor keeps the price comfortably below £400, but generously delivers a curved 31.5in panel with a 144Hz refresh rate. It’s a formula to whet any gamer’s appetite. The CQ32G1 is built around a curved 31.5in VA panel with a native resolution of 2,560 x 1,440 and a maximum refresh rate of 144Hz. It’s also FreeSync-certified by AMD, and unofficially supports Nvidia G-Sync with GeForce GTX 10-Series cards or above. Aside from that, the spec sheet isn’t exactly packed with features, but it’s a well-rounded package that’ll satisfy whether you’re running desktop applications, watching movies or gaming competitively. At £360, the CQ32G1 is extremely cheap for a 31.5in display. The identically sized Asus ROG Strix XG32VQ and AOC AG322QCX both cost £500. Other HDR-capable options include Acer’s £448 XZ321QU, £532 for the Samsung CHG70 and £650 for the Acer Predator Z321QU. Oh, and if you want customisable RGB lights, MSI’s 27in Optix MPG27CQ will set you back £530. The CQ32G1’s bargain price does come with few design limitations. The monitor’s sturdy stand can be tilted by -4 to 21.5 degrees, but it won’t pivot or swivel and there’s no height adjustment. Still, if that’s a real problem, you can replace it via a VESA 100 x 100mm bracket at the back. The off-centred buttons to access the onscreen display (OSD) are also awkward – I sometimes found myself fumbling for the right one. Apart from these minor annoyances, however, the CQ32G1 is impressive. The OSD is packed with customisable options and is laid out sensibly, and the panel’s 1800R curvature adds a layer of immersion, helped along by a three-side borderless design that means there are no chunky bezels to cause a distraction. The colour scheme is alluring, too. For connectivity, there are both HDMI 1.4 and 2.0 ports, plus a single DisplayPort 1.2 video input, which Nvidia GeForce GTX 10-Series graphics card owners can use to enable Nvidia G-Sync. 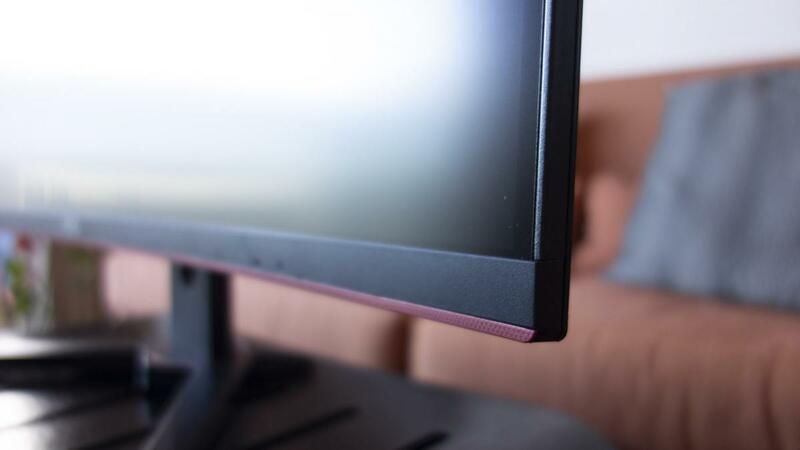 The CQ32G1 may be primarily a gaming monitor, but its image quality is good enough for more or less any role. Set to sRGB mode through the OSD, the panel delivered near-flawless colour reproduction, with an average Delta E of 0.92 and a maximum of 4.12 measured by our colorimeter. That’s way better than we’ve seen from monitors costing a lot more: the MSI Optix MPG27CQ achieved 2.74 and 6.8 respectively, while the Samsung CHG70 hit 1.98 and 4.42. The panel’s contrast ratio of 2,027:1 is impressive too, and with a wide 96.3% sRGB gamut coverage, colours appear vibrant and punchy. Our only minor criticism is that with a maximum brightness of 245cd/m² in sRGB mode and 335cd/m² at its peak, the CQ32G1’s panel can seem a little dim in adverse lighting conditions; many rivals push a lot closer to 400cd/m². The CQ32G1’s 2,560 x 1,440 resolution is perfect for games: it’s a real step up from Full HD, but a lot easier to drive than 4K. 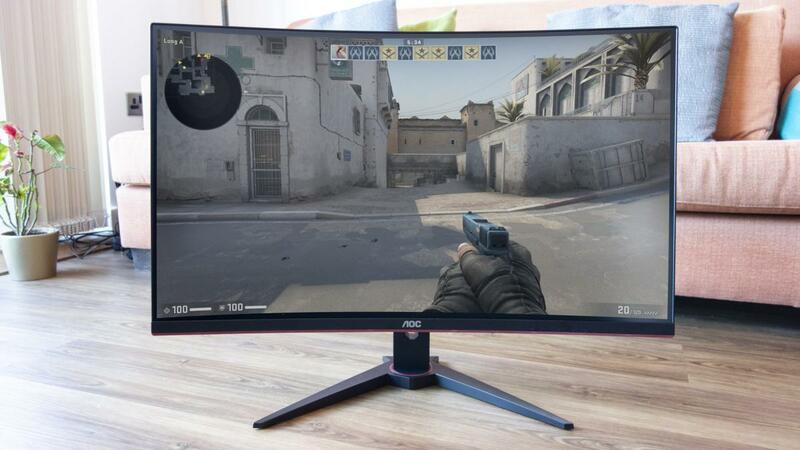 Of course, if you want to get the best from this monitor, and take full advantage of the 144Hz refresh rate, you’ll still need a powerful graphics card, such as the AMD Radeon RX 590, Nvidia GeForce RTX 2060 or GTX 1070 and above. And performance-wise, the CQ32G1 certainly feels like it’s designed for competitive gamers. AOC quotes a response time of 1ms MPRT, and when playing Counter-Strike: Global Offensive, I found the panel responded extremely well, with impressively low input lag and minimal inverse ghosting. To ensure the fastest possible response time, you can optionally apply overdrive settings and turn on Motion Blur Reduction (MBR) – but this further reduces the brightness. For uncapped brightness, the Strong overdrive setting and Low Input Lag modes should still suffice. As we’ve mentioned, there’s also full official support for AMD FreeSync, plus unofficial support for Nvidia’s G-Sync technology, if you’ve got a compatible card. I tried this out with an Nvidia GTX 1080 and experienced a perfectly tear-free experience, even in graphically intense games such as Destiny 2 – a smashing success. 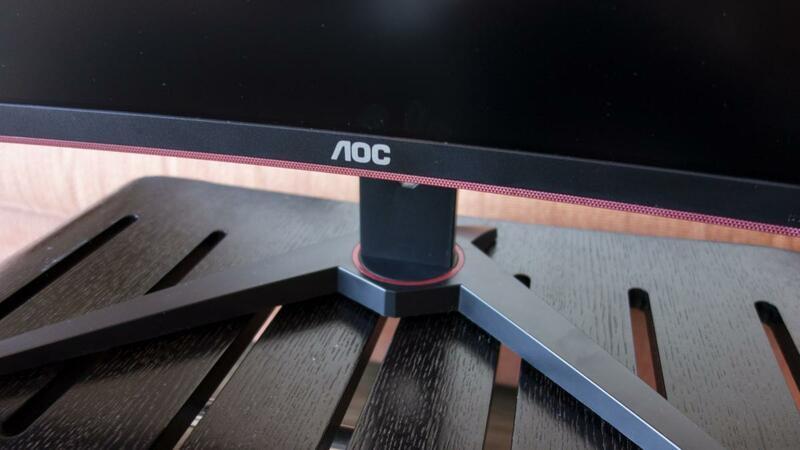 If you’re in the market for a new monitor, the AOC CQ32G1 could well be the one that finally makes you get out your wallet. It’s large, responsive and colour-accurate, making it ideal for both everyday computing and competitive gaming. And the price simply can’t be beaten, delivering a massive 31.5in curved panel for the price of a 27in screen.